So almost every gun in Bf1 sounded great. in bfV, not so. Particularly the pistols sound like they pack no punch and also SMGs such as the Mp28 in terms of audio, they sound like airsoft. Is there any chance of the guys reworking some of the weaker gun sounds pls? It feels to me that each weapon category has it's own sound for all guns but that's it as I can't really tell the difference between something like MP28 and Tommygun. You can definitely hear the mg42, but other than that I'm not sure you can deferentiate between guns if the same class. Though wouldn't guns of the same calibre and rof sound very similar anyway. I'm pretty sure MG42 and VGO sound exactly the same. Yes dead right there. Support guns sound pretty good, and the Scout ones not too bad..
Thompson should have a bit more whomp to it. Sidearms could really do with a sound boost. Sounds so muffled, except for the Revolver. True, colt 45 sound in the last game was perfect. Now it sounds muffled. Yeah, same with the semi-autos. A lot of them sound like they have suppressor on or something; only the G43 and M1A1 sound great. I don't agree they sound like airsoft. I think they sound more realistic than cinematic. I'd throw the Agm 42 in there. That gun sounds like it has some kick. The whole game sounds wimpy. Colt 45 and Steyr Hammer sound much worse than Bf1, can we just have the old sounds back please? The great thing about bf1 is that gun sounds were discernable so I can tell which gun was what and challenge the gun accordingly. This game I cannot tell I think "okay it's a slr, a g45 I'll wait til he empties it out then challenge" then notice it's a g1-5 and he has more in the clip. Depending on certain distances you can't even hear the slr. You just hear the thump thump as it hits your body. I've gotten rank 10 with nearly every weapon aside from a few lmgs and two shotguns, and the rounds between each gun sound very different to me. Comparing, say, the G43 and the M1a1 carbine is a blatant difference. The MG42 also has a very destinct, apparent sound. The Mp40 is unique as well, I got 800+ kills with that so when I used the other smgs to get to rank 10 it was super noticeable. 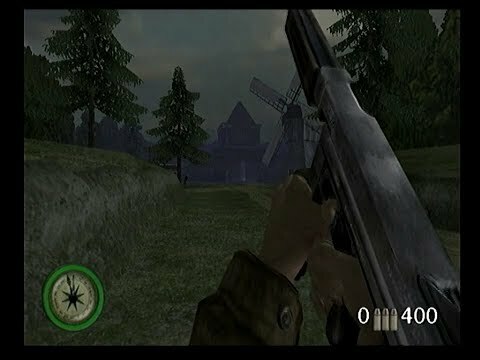 Then again, I'm an audiophile and love the sound design of games, so one of my favorite things is listening to all the firearm sounds. I would imagine to average players using speakers or cheaper headsets who are not really paying attention would generally just hear the sound of gunfire regardless. Personally I haven't taken issue with the weapon sounds in BF5. Although they do sound a bit less distinct than BF1 i still find them pretty easy to tell which ones which while still having a decent amount of authenticity to the real thing as far i can tell. Honestly, if every gun fire sfx was played back to back i have a strong feeling I could know a large chunk of them. I agree with you with all those weapons they are distinct but I can't tell a difference between a mp34 and an mp28 or a Tommy gun and mp34. From distances sometimes slrs are mute. You just great the thump thump as it hits you. The colt 45 has a nice bark to it. The EMP is quite a good sound, the new ZK SMG is horrible, sounds like an airgun.